Dr. Jeffrey Allred is a highly trained and experienced dentist at Allred Dental. With a Doctorate of Dental Surgery (DDS) from Virginia Commonwealth University, Dr. Allred performs a wide variety of restorative, cosmetic, general dental health, and implant dentistry procedures. As a part of cosmetic dentistry, Dr. Allred provides porcelain and no-prep veneers, smile makeovers, teeth whitening, and smile aligners. Dr. Allred also strongly believes in promoting overall sufficient oral hygiene to provide good health for the rest of the body by performing dental cleanings, dental examinations, tooth extractions, and scaling and root planing. 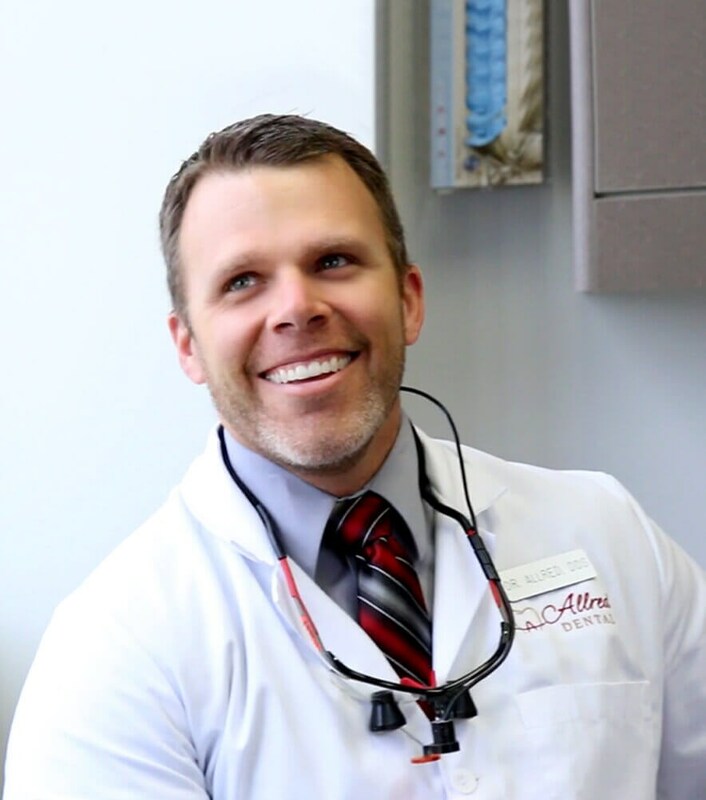 Known by his patients for providing quality patient care, Dr. Allred takes great pride in creating beautiful results that his patients can be proud of. At Allred Dental, we believe in comprehensive oral care that can provide overall enhanced physical health. The mouth is the gateway to the rest of the body, which is why we work with our patients to diagnose and treat issues that occur in all areas of the mouth. Dr. Jeffrey Allred works with his patients to provide a treatment plan that meets their needs and goals. Additionally, our state-of-the-art technology and in-house dental laboratory help us to provide a more accurate diagnosis and quicker, customized dental fixtures. At Allred Dental, our patients and their health come first every time. We believe good overall oral and dental health is important, which is why we offer numerous treatments to take care of your smile. We offer cosmetic dentistry to restore and enhance natural and beautiful smiles for our patients. Dr. Jeffrey Allred specializes in implant dentistry to replace the missing or broken teeth of his patients. Allred Dental provides advanced dental care for patients with a wide variety of complicated dental issues. Very friendly office! It felt like they genuinely care about your teeth and overall health. It felt like a much deeper and better cleaning than some of my past experiences . Very caring office. They really care about your oral health and how it affects your overall health. They are very informative. My teeth feel much cleaner than they have ever felt at some of my past dentists offices. Dr. Allred and his team are very friendly, honest, and skilled at what they do. They are also clearly up to date with the latest technology. I would highly recommend them! Browse our photos to see the beautiful results of our patients' smiles. Find out where we are located and how to contact us to book your consultation. Read through our reviews to see what our patients have to say about the outcome of their procedures. Learn more about the services we provide and find the right one for you.